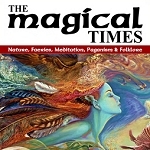 Book Reviews: A selection of Pagan book reviews by members of The White Goddess Forum. 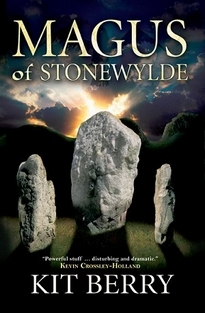 "Magus of Stonewylde" is the first title in a series of five. Stonewylde is an alternative community, a vast country estate hidden away in Dorset and enclosed behind high boundary walls. Ruled by the charismatic Magus, life here is simple and seems idyllic. Into this magical world come Sylvie and her mother, trying to escape the stresses of modern inner-city life. Sylvie suffers from chronic eczema and a strange malaise, but soon begins to heal in the peace and tranquillity of the beautiful Dorset countryside. Magic In Ancient Egypt: Dr Geraldine Pinch, a supervisor of lectures on Egyptology for the faculty of Oriental Studies, Cambridge, provides a clear insight it all aspects of Egyptian magic and its fundamental place among the ancient Egyptians. Crystal Enchantments by DJ Conway: An extensive book on crystals and rocks, their history, folklore, healing energies and their magical powers. Utterly Wicked By Dorothy Morrison: Hexes, curses and other unsavory notions. 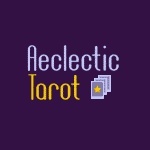 A realistic, thoughtful, honest appraisal of what is often perceived as the less savory side of magic. The Craft of the Wild Witch by Poppy Palin: Evocative and compelling, Craft of the Wild Witch reveals how to practice a form of witchcraft that is both wild and free. Masks of Misrule: Horned God and His Cult in Europe by Nigel Jackson. This book takes a look at the Horned God in the Traditional Witchcraft of Britain and Europe. 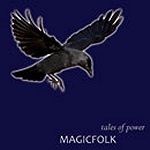 Light from The Shadows By Gwyn: An inside account of traditional witchcraft as it is practised today by several covens and clans across Britain and how it compares with modern Wicca. The Crystal Bible: Two essential guides on the covers the practical and esoteric properties crystals, including spiritual, mental, psychological, emotional and physical effects, and in crystal healing. Aromatherapy An A-Z By Patricia Davis: The most comprehensive guide to aromatherapy ever published.